Samsung Chrome Book is one of cheapest laptop. 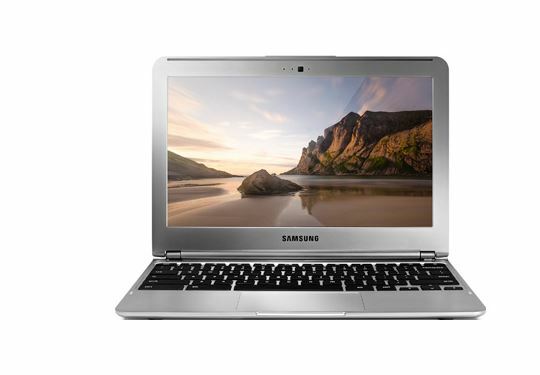 Samsung Chrome Book XE303C12 has Google Chrome operating system and Samsung Exynos 5 Dual Processor. Samsung Chrome Book XE303C12 has stylish look , light weight, fast booting and affordable price. Samsung Chrome Book XE303C12 support all Google applications like Gmail, Google Drive, Youtube etc.